It’s not a new concept that establishing a consistent morning routine can set you up for a productive and fulfilled day. We think of the most successful business people and their power mornings of espressos, workouts, emails, to-do lists, and podcasts. But, what if we change the traditional meaning of what productivity looks like in the morning and embrace something a little different…a little slower? Slow mornings can be just as, if not more, beneficial than a jam packed “productive” one. See, when our alarm goes off we’re already spiking our nervous system. As we sleep our cortisol (stress hormone) levels gradually rise to allow us to get up and get going. Essentially, when we wake up, we’re already stressed! How about that? Add in a blaring alarm, a high intensity workout, scrolling social media, planning to-do lists and eating (probably a rushed) breakfast and we have the perfect recipe for perpetuating chronic stress…starting before 9am! About 8 years ago I was on a mission to be in the best shape. I would set my clothes out the night before, pack my workbag, gym bag, meals and lunches. I would wake at 4:45am to drive 30 minutes to my office gym, do an intense cardio work out for 45 minutes, rush to get ready in the gym locker room and be at my desk by 7am. And guess what? I not only didn’t lose weight, but I gained weight. As Dr Libby Weaver writes, “Continual overproduction of cortisol (our long-term stress hormone) can lead to visceral fat gain, the type located inside our abdomen that is strongly linked to inflammation and an increased risk of many diseases.” The stress of the busy, “productive” morning was adding MORE stress to my life! Even though I felt it was what I “should” be doing to stay healthy, fit and efficient with my time. As my life has evolved, I’ve found what works best for me. Gone are the pressures of rushing to a 6am workout class, cramming in a ton of emails and social media posts, or tackling my to-do list. Instead, I’ve embraced slow. And it entirely sets my day. Wake up peacefully. Admittedly, my internal clock is not set for 5:15am. I’ve tried many alarms from my Iphone, a traditional alarm clock and using my Fitbit’s vibrations. All left me frazzled. Thanks to an incredible client, I recently invested in the Philips Sunrise Alarm Clock. Instead of the shock of a loud noise, the alarm clock slowing brings light into the room until it’s full brightness. And don’t worry- you don’t disturb your sleeping mate. My husband sleeps right through the brightness. But I wake up much calmer and literally bright-eyed. Cleanse with some old-school best practices. The yoga medicinal practice of Ayurveda has existed for over 5,000 years so it’s got to be good, right? One of my favorite recommended practices is to scrap my tongue as soon as I wake up. It sounds weird but it feels great to just cleanse from the night. The next thing I do is make myself lemon water. Just warmed water, made easily on an electric kettle and 1/2 a lemon squeezed in. 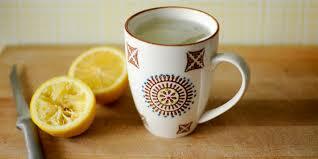 It’s been said that you don’t fully realize the benefits of drinking lemon water daily until you stop. I’ve been doing both of these practices for over 3 years and I can’t imagine a morning without it. Meditate. I know, I know. You’ve heard it over and over. But I promise, it makes a huge difference on your mood, happiness, ability to handle stressors and focus for the day. To make my life simpler, I opt for the same meditation on the free Insight Timer app every (weekday) morning. And rather than sitting in an uncomfortable position on the floor, you can find me reclined on my glider with my feet up and wrapped in a blanket. Let’s be honest, meditating at 5:30am isn’t the most exciting thing, so I might as well make myself comfortable. Journal. And by journaling, this could simply just be reflecting. I use a few journals to continue my slow morning - the 5 year Q&A book and the mama’s edition, You Are a Badass Everyday prompts, the Goal Getter journal, and some inspirational flashcards by Gabby Bernstein and Kris Carr. Journaling can help reinforce your goals, intentions for the day and reflect on things you are grateful for. Think of it this way: meditation clears the mind for journaling to set mood. Set the scene. For any morning routine, it’s important to have a space that you feel comfortable and safe. If you’re looking for privacy from your family or enough room to spread out, find that specific spot in your house. I opt for a quiet corner in our den that shelters me from my family member’s own morning rituals. The key here is to not let perfect be the enemy of good. You’ll waste a lot of time putting together the ideal spot instead of actually just doing your routine. I’m talking to you procrastinators and non-committals! If you fall out of the routine a few days, rather than consider it all lost, just pick it back up. Like any good habit, your own routine will become a part of your lifestyle and will be non-negotiable in your schedule. And with any good practice, weekends are negotiable. By 6:15am when I hear my toddler squawking from upstairs, I’m refreshed and have filled up my own cup. Let the day begin.